It is necessary to understand death to understand life, and likewise life must be understood in order to understand death. Death is not the end of life, but simply a pause in a continuing story. Death is merely a station stop like Grand Central Station in New York City—just a place to get off a particular train and prepare for another. Death is not the end of life, but simply a pause in a continuing story. This is not to diminish the meaning of life or death. How life is led, in other words the train we choose on the way to Grand Central, determines what state of mind we will be in when we arrive and how prepared we will be for the next transition in our journey. We could pick a disorderly, poorly run train, or a neat, clean one. We could pick one with all sorts of attractions and distractions, dancing girls and video games, and opportunities for wealth and fame. It would be difficult to leave that train once we were hooked on all the distractions and sensual gratification. Alternatively we could pick a train in which we learned to enjoy the natural sights along the way, so that when it comes time to leave the train at Grand Central, we could do so effortlessly and joyfully. The eternal nature of the Atman who dwells within is the central theme of the Upanishads. This is the secret of the mystery of death, and the key to understanding life: God pervades all, and God is the Atman animating our soul, the life of our life. Atman is everlasting, unchangeable, and therefore not subject to death. Only that which is perishable is subject to death. The perishable is there only to serve as a tool in the discovery of what is imperishable. It is sad to lose what we care about in life. When someone we love dies, grief for that loss is appropriate, but that grief should not be prolonged. Excessive mourning is unhealthy. Grief should not consume a person, because loss and death are inevitable. That is why in some cultures and religious systems a time limit is put on grief. For instance, observant Jews follow stages of mourning. After the burial of a loved one, close family members remain in mourning 7 days. During this time they do not leave the house except for emergencies and do not shave or cut their hair, or put on new clothes. They are not allowed even to sit on chairs or wear shoes. Their grief is allowed to be concentrated and their mourning focused. A less intense 23-day mourning period follows. For some Jews an 11-month moderate mourning is observed. We grieve over the deaths of those close to us, and fear our own passing. There is a period for mourning, and a time to let go. This is why cultures around the globe and throughout history have devised customs of letting go, of mourning, and of putting death into perspective. These customs help people to go on with their lives and prepare for their own deaths. Human life is a cycle of coming and going, birth and death. The death of the body is not the end of the soul. The Self is unchangeable. Therefore, grief beyond the limits of its own time is unwise. If what matters to a person is that which is passing, death looms large and horrible. Death means the end to what was central and meaningful to that person. The pain in that philosophy is profound. If, however, a person learns to let go of what is passing, whether that means letting go of objects or relationships, and seeks only that which is eternal, death is not frightening. It is just a turning, a change of clothing. So grieve, but not for too long. The same advice applies to anything that is lost—a marriage, a job, friends, a home, a dream. Grieve for it, and then move on. The fear of death and the pain associated with death are intrinsically linked with attachment to the passing world of names and forms. People seek objects and relationships in the world as a way to deny death, to cushion themselves from the reality that their worldly lives are temporary. The treatment is worse than the ailment. It is just these attachments to objects and relationships, and the belief in the need for them, that strengthens the fear of death. The changes inherent in objects and relationships make their loss certain. Instead of comforting their owners, these changing, decaying, and dying objects remind people of the death they fear—death of their attachments to their bodies, thoughts, habits, objects, and relationships. These attachments create, recreate, and reinforce the fears of recurrent loss and death. They make life miserable and death frightening. The key to freedom from this misery and fright lies in undoing the attachments. All of life’s events try to teach that out of death comes life. Jesus meant that whoever is attached to the worldly life and this earthly body will lose them in death. But whoever lets go of attachments to this worldly life and this earthly body and identifies with the permanence or God-consciousness that Jesus represented will never die. What good will it do to have all the riches of the world and all the world’s pleasures? They will all disappear in the flash we call a human lifetime. Focusing on the pleasures of the world keeps the mind too distracted to search for the inner Self. Buddha’s four noble truths state that life is suffering, the suffering has a cause, there is a cessation of suffering, and there is a means to that cessation: a solution. Buddha’s solution was to live life correctly and to travel through life productively and enjoyably. This path requires dealing with the desires and attachments that are the cause of suffering. “For him who is wholly free from attachment there is no grief, much less fear. From craving springs grief, from craving springs fear; for him who is wholly free from craving there is no grief, much less fear,” said the Buddha. “Put to death what is earthly in you,” said St. Paul. Commonly we get the message early in life that happiness is earned by acquiring things and getting something from relationships. Things are lost, relationships change, and pain is the consequence. We have a parade of emotions and thoughts that we identify with, and this brings pain. We think we are our bodies, and when our bodies are sick or they age, or we watch the bodies of others get sick or die, we experience pain. Pain is an alarm system that indicates that something is not in balance. What is the pain of lost objects, changed relationships, shifting emotions and thoughts, and deteriorating bodies telling us? One possibility is that this is simply how life is. We arrive here, strive to obtain whatever we think we need, and suffer pain in the process. End of story. That doesn’t make much sense, though. If someone felt pain in his foot, and the pain alerted him to an infection, would the person simply say, “Well, that’s the way it goes—have a foot, get an infection”? The infection would spread through the leg and kill the person. That’s not rational. No, the person would use the pain to identify an issue in his body that needed attention. He would see it as a problem that needed a solution. Life’s pain is telling us that we are perceiving our relationship to things, people, feelings, thoughts, and bodies incorrectly. We are dependent on those things, people, feelings, and bodies. We identify with them and are attached to them. When they go or change, we feel pain. These attachments, along with ignorance, are the source of the fear of death. The more we are attached, the greater is the fear we have of death. 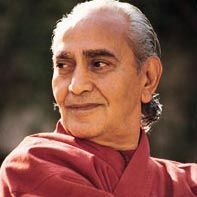 Those without any attachments—those who do not perceive themselves as owning anything in their lives and who know that their bodies are just instruments—they are free from fear. What does it mean to be attached to or to identify with something? Attachment means we believe we need something for our existence. This is the ego operating. It says, “I am so important and I need to have this car. This car is mine, this car means I am successful, this car helps identify me.” Or, “I need a relationship with this woman. Without her I cannot be happy. If she leaves me I will be forever broken, and life will be meaningless.” People get attached even to the idea of things. For example, in American culture people have been raised with certain images of what life ought to be. They see themselves from the time of childhood growing up to have wonderful marriages, living in white houses with picket fences and flowers, and having devoted children. They see themselves getting bigger houses, second cars, second homes in resort areas, and retiring early. These are the ideas the culture creates, and when these things don’t come about to match their ideas, they are miserable. They feel as if some bad trick has been played on them. Learn to flow with life and all of its ups and downs. This is identifying with images. You see yourself, your identity, as this person in the white house with flowers and a perfect life. You think that is you. But that is not you. Don’t be attached to these images. Learn to flow with life and all of its ups and downs. The same tendency works in the lower mind with emotions. We get angry, and we think, “I am angry.” Who is angry? To say “I am angry” is to identify with the emotion, to believe that the emotion is us. We cannot be an emotion. As humans we are capable of having anger and experiencing anger, but we are not anger or any other emotion. Similarly, we are not our bodies. We have bodies. They are instruments for our use. We say, “I am 6'1” and blond with blue eyes.” We are not that. Yet this is what we think. When someone criticizes our appearance we feel hurt. When we see our bodies getting older and slowing down, it scares us. Most of us remain in body-consciousness and that is why we identify ourselves with the body. When one learns to separate the mortal self from the immortal Self, the faculty of discrimination dawns. Death does not touch the real Self. That is difficult to believe only because we so strongly identify ourselves with our bodies and the world around us. Just because we are not conscious of something does not mean it doesn’t exist. The Katha Upanishad tells us, “When all desires and passions are removed, when perfect stillness prevails, the mortal becomes immortal.” That is the key. Death cannot mean an end because death has no effect on the Self. The cycle of life and death is not a random, unfortunate reality. It is an instructor. Life is an ongoing Upanishad that directs a person to search for the eternal and identify with what is permanent, not with what is impermanent, and thereby overcome death. According to Vedanta we exist not because of our bodies but because of our very being. The inner Self creates the body. During sleep we are not conscious of our bodies, but still we exist. Materialistic thinkers turn it the other way around. They look to the body, declare it is evidence of our being, and assume if there is an inner being, it comes by way of the body. Vedanta says just the reverse. It is consciousness that makes our bodies appear to exist. People are attached to their bodies and they identify with their bodies. The thought of the end of the body is understandably terrifying because that means the end to their assumed identity and existence. As long as we remain in ignorance and think that we are one with the body and its gross and subtle forms, we fear death and remain under the sway of death. The greatest obstacle in the path of realization is attachment to the body and to the objects of the world. This attachment makes us slaves. It is because of our attachments that we experience fear of death and loss. The more body-conscious and body-attached a person is, the greater the fear of dying. The same principle applies to people who are attached to the things of the world, to their house, property, clothing, jewelry, and money. They fear losing those things because they somehow offer meaning, identity, and worth. People also become very attached to other people. The emotion they feel for others gives them an identity and they fear giving up that identity in death. They fear the death of those to whom they are attached for similar reasons. If one’s identity is somehow defined by attachment to others, the death of others then affects that identity. The solution is to do away with these attachments to the body, property, possessions, and other people. This point cannot be made often enough. Reducing and finally eliminating attachments does not mean to escape life, to deny the enjoyment of life, or in any way to diminish life’s value. Just the opposite occurs. Life is enhanced, enriched, and expanded by reducing attachments. The person learns to love and give and open up to others and to the events of the world. Attachment means to grip, clasp, grasp, and hold on tightly. When death comes all that was being clutched and grasped is wrenched away. The tighter something is held, the greater will be the wrenching away, the deeper will be the pain. If life has been led with open hands, with no attachments, then death comes but there is nothing to be wrenched away. We cannot all of a sudden wake one moment and let go of all attachments. It is a lifetime’s work to undo the habit of forming attachments and requires attention every day, because the attractions and temptations of the world constantly work to strengthen attachments. While spiritual seekers work on nonattachment, they must at the same time develop some understanding of what death is and what it does. Does death merely mean the end of life? Is it just this horrible event that comes without invitation, like some evil that crawls in the dark? Death is as natural as birth, even as miraculous and beautiful as birth. Death, as well as birth, leads to life and growth. From an Eastern metaphysical point of view, death cannot end life. The body stops and a person’s moment in a particular blip of time and space ends. The individual does not end. From this perspective death does not appear dark and horrible. Death is as natural as birth, even as miraculous and beautiful as birth. Death, as well as birth, leads to life and growth. In such a perspective, an individual enters a blip of time and space for a specific purpose and for a specific span of time. It is like plowing and sowing a field in the spring. The time and conditions are right to accomplish a purpose. The job must be done then. When the job is completed, there is no reason to remain in the field. Then it is time to wait, to allow the seeds to sprout and the crops to grow. When the growing season is done, it is time to revisit the field—another purpose, another time. That is the way human existence is. The world is like a field. An individual comes and prepares the field at the right time and goes away until it is the right time again to return and reap the harvest. An individual’s visit to worldly existence can be spoken of in terms of energy, or time and space, or karma, or a number of other philosophical notions. The philosophies declare that an individual has or is energy and that energy cannot be destroyed, only transmuted. The philosophies state that individuals enter specific time and space continuums and then leave them, moving on to others. They argue that an individual’s karma drives her existence from one form to another, for certain experiences and for specific lengths of time. These philosophies can be useful and comforting. But regardless of all their understanding of philosophies, the idea of death looms in all people and sometimes all the readings of the world’s philosophies cease to be effective. Death remains an event we must face alone. Only our own philosophy—that which we have personally realized—matters at the time of death. Death is an individual’s confrontation with the most fundamental fear. Whatever self-transforming work a person does in life, no matter what forms her philosophy takes, imagining the moment of death is frightening. To some degree all people experience fear of dying. We can tell ourselves with varying degrees of certainty that death is not so scary. We can say it is merely a change from one state of existence or awareness to another. We can say that at least death means an end to the pain of life, or perhaps it is a gateway to an everlasting life. Whatever we comfort ourselves with, there are still bubbles of fear present. We fear death. That fear, great or small, becomes more intense and focused at the actual moment of departure from this world. All philosophies are set aside as this fear becomes real. But this natural fear can also potentially be of great benefit. It draws the dying person’s attention and concentrates it. How and upon what a dying person focuses reflects the contents of the life just lived and sets in motion the life to be lived next. Death is the critical moment of taking all the experiences, thoughts, actions, memories—all that was spread and diffused over one’s life—cramming it into a single dot, a single moment, and pushing it through a pinhole of time and space. The energy employed in the thrust of that momentum, and all that is with it, and in pushing it through is enormous. It is sufficient to shape another life. How we come to that pinhole, what we bring to it, and how we pass through it are queries of tremendous importance. How life is lived and the journey that takes a person to death are matters of immense significance. The comparison is often made between sleeping and dying. How a day is spent determines the quality of sleep that night. If a person goes to bed full of regrets, fears, and the feeling of being unfulfilled and discontent, sleep will be fitful and all those negative thoughts will be carried into the next day, largely determining the quality of that day. Unfulfilled desires of one day will penetrate into the next day and affect that day’s mental and emotional tone. The new day is in effect stolen from the sort of sleep that ended the previous day. Go into sleep free and contented so the next day can be embraced fully and its value and purpose can best be attained and appreciated. Do your best with the day at hand, and let go. Tomorrow will take care of itself. Each day has its own value and its own purpose. Do your best with the day at hand, and let go. The same phenomenon occurs in death. The quality of life to the moment of death largely determines the state of mind of the dying person. In death the mind becomes very focused. It is a moment of true meditation, of very solid one-pointedness. If a person’s life has been characterized by fear and dread, then those qualities will be magnified at the time of death. If a person has led an undisciplined life, then death will come in a similarly undisciplined way. were throughout life. Whatever follows in that person’s existence will be determined by that internal commotion, just as the restless, anxiety-ridden sleep of the night determines the quality of the following day. However, the person who has led a disciplined life and has learned to let go of attachments can pass gracefully from this life into the next. This person can leave like a guest who knows the visit is over. Her purpose of life has been accomplished. With an exhalation she departs. She simply goes, knowing that the reality is within, eternal, unaffected by and independent of the people and things of the world that must be left behind. At the same time remember that God, or the eternal Reality, is within you. Death reminds you not to attach yourself to this world. Learn from the world and let it go. See your body as just an instrument. It serves a purpose and then its work is done. In India, the second chapter of the Bhagavad Gita is read at the time of death as a reminder both to be fearless in the face of death and to contemplate the journey of the soul. Arjuna is faced with the prospect of death. He is afraid, grieving, and depressed. His teacher, Krishna, tells him not to be afraid, not to fall into weakness, but to arise like fire. “Why all this emotion because of death?” Krishna asks him. Life and death are part of the same turning wheel, each one half of the circle, each moving and turning with and toward the other.